Overwatch Update 1.13.0.1 is now available for PS4, Xbox One, and PCs. The latest update brings the new Doomfist player. Doomfist is a highly mobile, powerful frontline fighter. His primary attack is the Hand Cannon; this four-shot weapon fires projectiles from Doomfist’s knuckles one at a time or in a single blast. With his secondary attack, Rocket Punch, he charges forward and delivers a devastating blow, knocking back any opponent it connects with and dealing extra damage if the enemy is hurled into a wall. Equipped with charisma and ambition, Doomfist is a consummate tactician and one of the leaders of Talon: literally throwing down his gauntlet as he joins the fight. 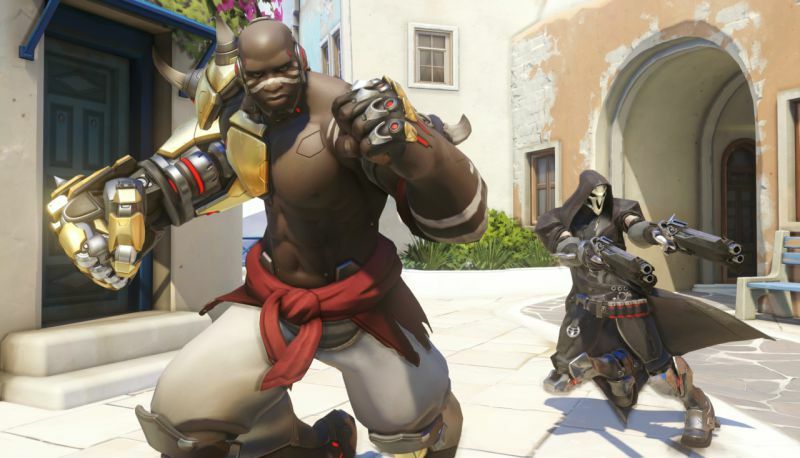 From his base in Nigeria, Doomfist is a commanding offense hero equipped with hard-hitting melee abilities. Driven by a belief that conflict is essential to humanity’s progress, he’s committed to advancing his vision of the future—even if the agents of Overwatch disagree with his methods. Reducing the number of duplicates you will receive when opening loot boxes. Second, to compensate for this reduction of duplicate items. Overwatch Update 1.13.0.1 also increasing the overall amount of credits you will recall the number of boxes. On average, you should be earning just as many credits, if not slightly more, from loot boxes as you did prior to these changes. Fixed a bug that could cause D.Va to fall through the floor while boosting into the ground in a specific area on Volskaya Industries. Check your game update and download latest Overwatch Update 1.13.0.1 is now available for PS4, Xbox One, and PCs(1.13.0.2).